Accurate 3D modeling of reality can be a difficult and expensive endeavor. High-end lidar imagers use remote-sensing technology to measure distance by directing lasers at an object and analyzing the reflected light. These instruments, which expertly capture detailed site measurements, can cut down a great deal of time and cost over traditional surveying work. However, lidar imagers can cost hundreds of thousands of dollars and require professional training. The high cost prohibits their use on smaller projects or for pre-funding preliminary project phases where models are created as part of the bidding process. Thankfully, there are less expensive means for 3D data capture that make it easy to compile a realistic 3D model simply from consumer digital cameras, or even the camera on your phone or tablet. This democratization of technology holds the promise to accelerate the preliminary planning and design phase of a project, as it greatly speeds the capture of existing conditions of a site. The early work on collecting data for 3D modeling from multiple photos comes from photo-measuring techniques known as photogrammetry. The mapping community has used stereo imaging to create 3D representations of the ground for almost as long as we’ve had photography. As you might have guessed, this kind of mapping comes from military advancements in order to depict accurately a battlefield for the planning of operations. Major innovations to photogrammetric techniques occurred when photos went digital. 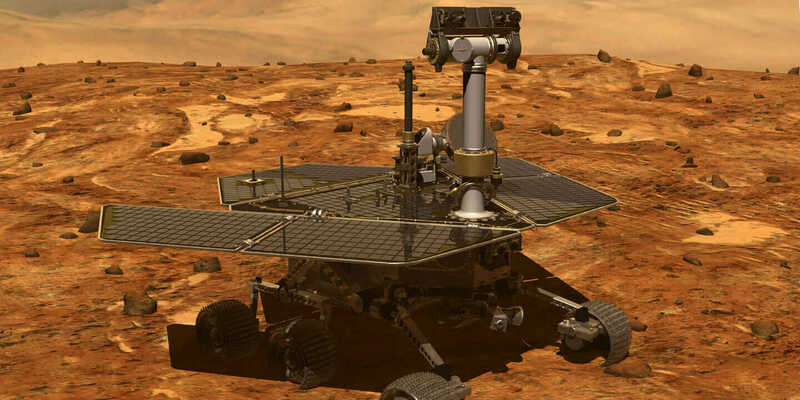 NASA researchers deserve a lot of credit for making the leap from photos to models, as they developed new algorithms and tools that were first used by the Mars Exploration Rovers to navigate and create 3D models of the Martian surface. Since then, this technology has been adopted extensively, including using it for street-level 3D mapping for online mapping sites. Similar approaches for photo-based modeling can be found in Microsoft’s Photosynth and in Autodesk’s 123D Catch. Today, there are many tools that capture models in this fashion, and there are even 3D modeling handheld phones and tablets in development that will marry new camera configurations with onboard software to make models. Data capture is a very time-consuming and costly aspect to any project start, and often it’s something that is heavily invested in by all project bidders. Given the dollars spent and the redundancy of this effort, you’d think that the site owners would provide a model of the site, but that is often not the case. Therefore, coming up with a solution to rapidly, easily, and cheaply create a model of reality for preliminary design work will have a huge impact on the workflow, and could even result in lower costs for building and infrastructure creation. A photo-based model is certainly not as accurate as traditional surveying tools or lidar modeling, but it can fill a gap in early phase sketching and conceptual renderings. It’s important to note that further survey-grade modeling will most likely occur at later stages of design and engineering phases should proposals turn into design drawings. But for conceptual design, the accuracy of photo models is adequate. One research effort compared a total station survey to the accuracy of photo-based modeling and found that it was off, at most, by one quarter of an inch. Of course, there are a number of factors at play in accurately capturing a photo model, such as adequate lighting, focus, and coverage, but these results make it a viable option for preliminary site work. Businesses stand to benefit from these advancements because it means companies that need to capture a site for a proposed design can forego investment in scanning and surveying services. Instead, they’ll be able to use a tablet or phone for quick capture that they can then incorporate into their model. Photo-based modeling has so many advantages in terms of the quickness of capture, the ease of the capturing process, the automation of the modeling, and the low cost. It’s certainly something that is going to take off quickly, perhaps to the point where people might be making models of their grandkids rather than capturing moments with photographs. While that may seem far-fetched for now, consider how quickly personal photo printers and online photo services sites replaced photo-developing stores. It may only be a matter of time.